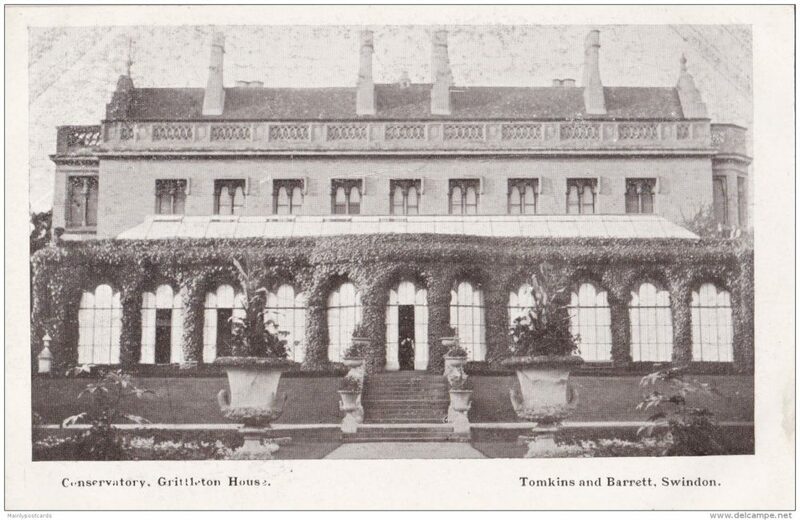 The first building on the site was Grittleton Manor, a three bay Jacobean manor dating from 1660. Joseph Neeld (b 1789) a solicitor from Bristol was a great-nephew of Philip Rundell, head of the firm of Rundell, Bridge and Rundell, goldsmiths of London, who died in 1827. He had accumulated enormous wealth from ‘steady gains and continual parsimony’. He left the bulk of his estate to his ‘esteemed friend’ Neeld, who had ‘taken care of him for the last fourteen years’ it was generally assumed that Neeld had come into at least £900,000, though his share was actually £660,230. Still a huge sum of money, which made him one of the richest men in Britain & the equivalent of a billionaire today. Neeld made considerable investments in East India and Bank stock, and in land in London, Wiltshire and elsewhere. 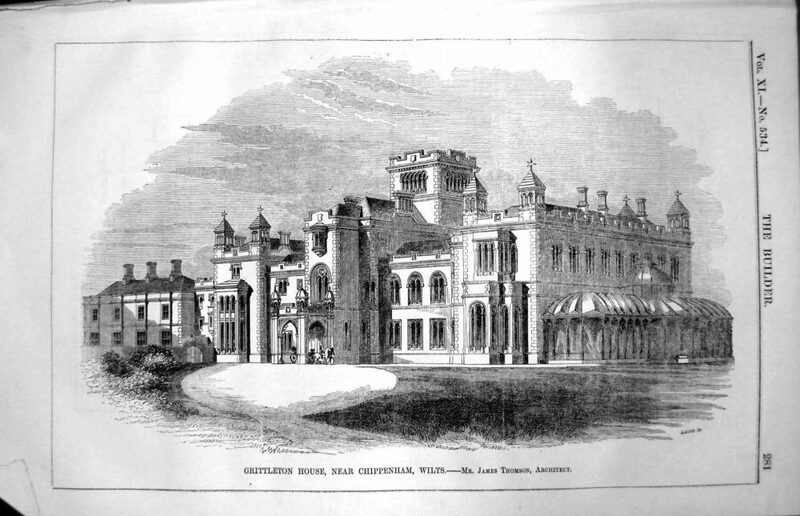 In 1828 he bought from his friend Colonel John Houlton the 1,248 acre Grittleton estate, which he extended and made his principal residence. He bought a parliamentary seat at Gatton, and took his place in the Commons as a MP on the 11th March 1830. He married Lady Caroline Ashley Cooper, daughter of the 6th Earl of Shaftesbury on 1 January 1831; however, the marriage did not last for long, only 4 days according to some reports, possibly because she found his illegitimate daughter (by a French woman, Ann Maria), installed at Grittleton. This led to a series of legal disputes which ended with Lady Caroline failing to achieve a divorce, but being granted a legal separation. The building history of the house is complicated, and the role of Neeld himself in the design is not clear. He seems by turns to have been autocratic in requiring the removal of parts already built and the victim of architects and builders over whom he claimed no control. One must assume that the overwhelming feature of the interior, the full-height galleries or tribunes for the display of sculpture, were Neeld’s starting point in rebuilding the house, but the long drawn out process may mean that a great deal developed ad hoc. Architect James Thompson partly refaced & added to the original manor house during 1832-40. 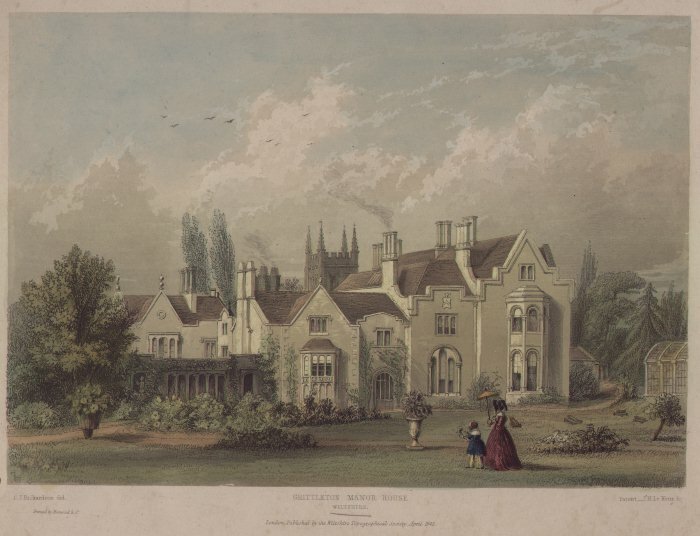 1852-6 saw the part demolition of the manor house with the replacement House being designed again by Thomson, who was replaced by Henry Clutton in 1853; however, Thomson appears to have completed the house in 1854-6. Sir John Neeld had six sons, none of whom had children and the last son, Sir Audley Neeld, died in 1941 aged 94. Following Sir Audley’s death Grittleton House estate passed to the Inigo-Jones family, descendants of Anne-Marie, the illegitimate daughter of Sir Joseph Neeld, who had married Colonel Inigo William Jones. In 1942, Lionel Inigo-Jones inherited the estate and changed his last name to Neeld. In 1956 the property passed to his brother Ralph Inigo-Jones who was known as Ralph Neeld. Death duties at this time meant all the estate’s farms & the valuable contents of the House were sold at auction at Southerby’s. The Inigo-Jones family were not thought to have lived at the house during the time they owned the property. During the 1940’s the House was used by the MOD to store historical documents including for a short period the Doomsday book. Also during this period foreign fighter pilots stayed at the House but they misbehaved so where thrown out. 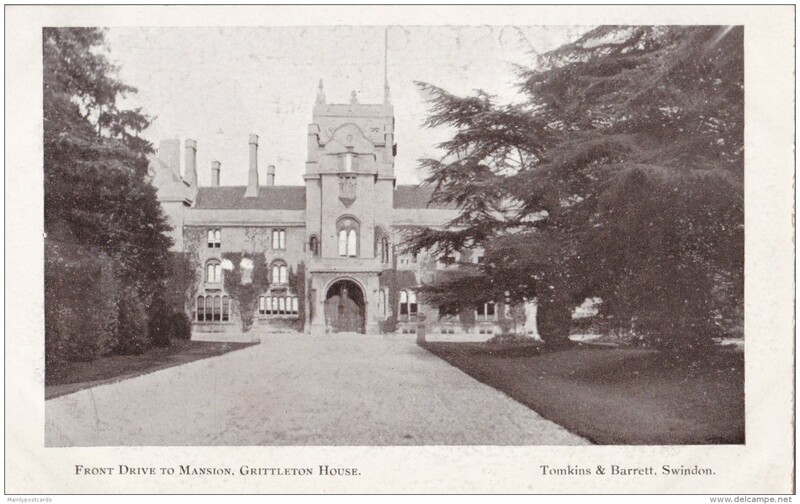 In 1948 a private girl’s school which had been based at Doddington House (now owned by James Dyson) moved into the bigger premise at Grittleton House. In 1967 Joanna Shipp, who had being running her own private day school in Rangeworthy Court since 1951, visited the school to buy desks. She left with the desks & a school. Joanna moved into the house with her family initially renting it from Ralph Neeld, amalgamating the remaining few pupils from the girls school with her own, before finally buying Grittleton House & the 24 acres in 1972. The House was in a very poor state of repair & had been considered for demolition so the Shipp family spent many years repairing & restoring their home. 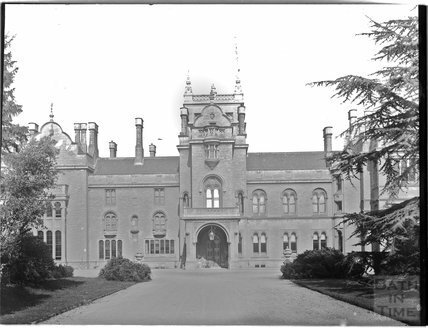 For the first two years the school was run as a boarding school before reverting to a day school for pupils aged 10 – 14. In 1980 Joanna’s son, Adrian, started a very successful carvery restaurant in the cellar of the House followed in a couple of year with weddings & events. In 1988 the House was designated as a Grade II* listed building.